Flowering time: June-October. Parasitic annual climber. 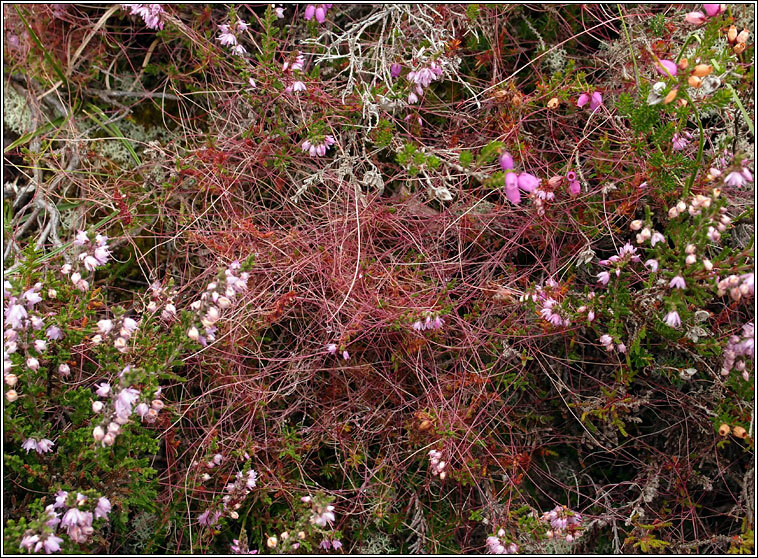 Habitat: No green chlorophyll is produced so it is totally parasitic on heather, gorse, birds-foot-trefoil and clovers. Can be locally common in southern England, less frequent to rare elsewhere. 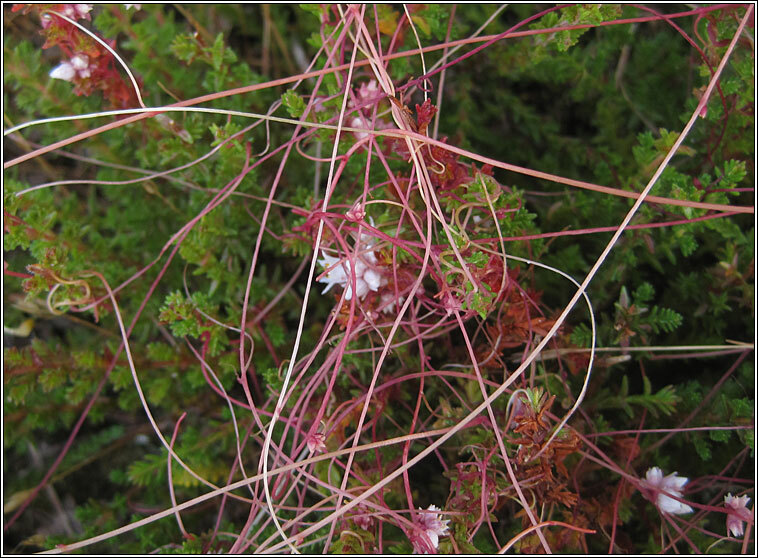 The plant forms a mass of twining red stems with the leaves reduced to tiny scales. 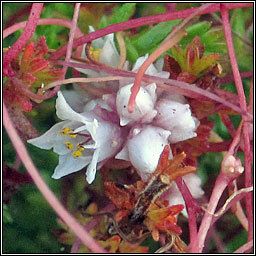 Very small pinkish-white flowers are produced in dense clusters, 5-petalled with projecting stamens.